Corinthian Furniture at Low Prices! For great Corinthian furniture at always-low prices, visit Heavner Furniture Market in Raleigh or Smithfield, NC. 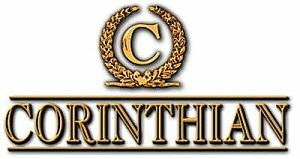 We prioritize the customer experience, offering high-quality pieces from Corinthian Furniture at the lowest prices you will find anywhere. Visit one of our two great locations today or call us at (919) 881-9200 to learn more about our services. Why Buy Corinthian from Heavner? Fans of Corinthian Furniture return to the brand because of its dedication to quality and functionality. If you want a sofa that will last for years and be the most comfortable piece in the home, you buy a Corinthian. At Heavner, you have the opportunity to buy the best Corinthian sofas, loveseats, and more for drastically reduced prices. How do we do it? We acquire our inventory from national furniture shows, direct from the manufacturer, and imported from overseas. We are able to then pass the savings onto you, the consumer. Additionally, our inventory gets updated regularly. This means you will find something special at Heavner you may never see anywhere else! As an added benefit, we offer same day furniture delivery on all Corinthian furniture pieces. Contact us today to learn more!